Saudi Arabia's royal heir apparent traveled to the U.S. capital last week in a charm offensive to shore up the kingdom's controversial relations with U.S. elites. In the wake of increasing American suspicions of a Saudi role in financing 9/11 terrorists and supporting ISIS, President Obama met June 17 with the monarchy's number three leader, Deputy Crown Prince Mohammed bin Salman. Salman, 30, is also the Saudi defense minister and the favored son of his country's elderly king, who ascended to the throne last year. A war hawk, Salman (shown in a file photo and known by his initials "MBS") met June 16 with U.S. Defense Secretary Ashton Carter and other VIPs, as reported in Saudi Arabia's Wonder Prince Comes to Washington. By tradition, the ambitious MBS stands behind Crown Prince Mohammed bin Nayef, 56, but doubts about what will happen give current meaning to the term "palace intrigue," as David Ignatius reported in the Washington Post, A 30-year-old Saudi prince could jump-start the kingdom — or drive it off a cliff. 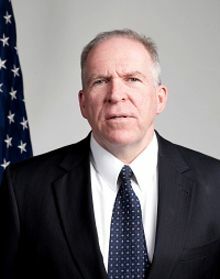 Meanwhile, U.S. defenders of the kingdom such as CIA Director John Brennan, the longtime CIA bureau chief in Saudi Arabia, pooh-poohed suspicions that the Saudis have hurt the United States. Today's column reports on this Saudi visit as the second segment of our ongoing coverage of fallout from 9/11, the ongoing wars in Syria and Yemen, and the June 12 massacre in an Orlando nightclub by an accused Islamist radical, Omar Mateen, a security guard for a major U.S. contractor, G4S. In the first segment, Conservatives Blast Obama On Terror Attack, Miss Key Clues on June 17, we reported on conservative reactions to the fatal shootings of 49 patrons and staff at the Pulse gay nightclub in Orlando. Authorities ascribed the deaths to Mateen, 29, shown in a file photo. Officials said Mateen acted on his own pro-Islamist beliefs before a SWAT team killed him. Our next segment will raise questions about official accounts and media treatments of the nightclub shooting. We begin today's column by summarizing why the American public is becoming suspicious of the extraordinary deference that U.S. elites in both major political parties extend to the oil-rich kingdom, which advances its Wahhabist version of Islam by funding jihadists and in wars against Syria and Yemen. Next, we examine here allegations that the Saudis maintain their influence over American government leaders via vast (but not necessarily illegal) spending that helps presidential contenders, the entities that support them, and other elected and appointed officials. In support of the Saudis, officials from both parties in the U.S. government have kept secret from the American public the 2002 Joint Senate-House report on who funded the 9/11 terrorists, despite the view of experts and 9/11 families that suspicions point to Saudi-funded entities. Above is a quotation from U.S. Rep. Thomas Massie, a Kentucky Tea Party Republican who has been outraged over the secrecy. 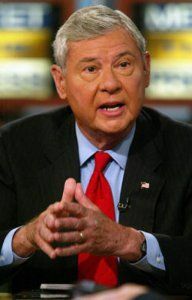 He has been a leader in the fight to publish the 2002 congressional findings, which after years of obstruction has received leadership support, a positive CBS "60 Minutes" feature, and other deserved momentum. We shall examine also below how the U.S. government has helped thwart 9/11 families from pursuing litigation against Saudi organizations suspected of funding 9/11 hijackers. The evidence is that 15 out of 19 were Saudis, with some living high in Florida and California via funding that the American public has been forbidden to learn about. 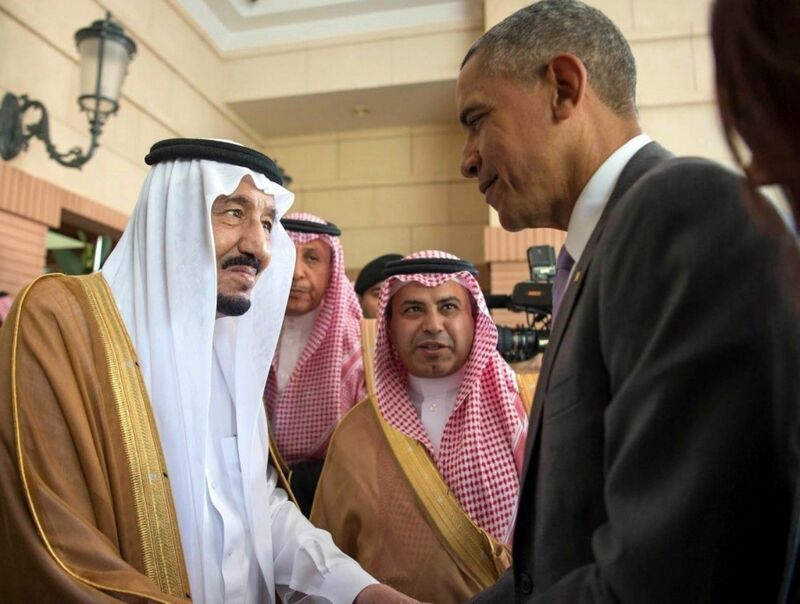 Finally, we report on how Salman sought to use his visit last week to address such controversies while frustrated by President Obama's apparent reluctance to ramp up the war against Syria's government as Saudi Arabia deeply desires. In Congress, the House narrowly approved a measure last week to allow the United States to continue to supply the Saudis with "cluster bombs" for their war against Yemen to re-install a ruler favored by the Saudis. Some 119 nations (but not the United States or Russia) ban the cluster bombs because they can cause so many civilian injuries. Cluster bombs explode hundreds if not thousands of fragments of up to tennis ball size that can kill those in an area the size of several football fields. The Gulf monarchies have caused vast destruction in Yemen in cooperation with the United States using such devices with scant reporting by the Western media. Russia is also reported to have used them, including in bombing runs against rebels in Syria during recent days. More dramatically in U.S. politics, the families of 9/11 victims and their supporters continue to gain momentum in their campaign to release a 2002 joint Senate-House report on who funded the 9/11 terrorists. First the Bush administration and then the Obama administration have suppressed the report, which is reported to ascribe funding for the mostly Saudi hijackers as coming from Saudi sources. 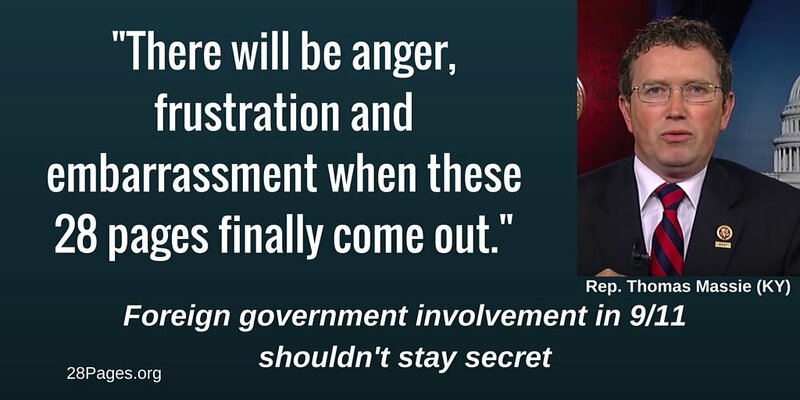 As additional members of Congress read the report (and face imprisonment if they report the findings to the American public without a vote) outrage is growing over why the secrecy remains. The answers in the report can help critics of official reports understand emerging evidence on the funding sources for terror, including the attacks that caused three World Trade Center buildings to collapse in New York and massive carnage at the Pentagon on Sept. 11, 2001. We have previously reported on this movement in such columns as last fall's Do Your Senators Want To Keep Hiding Identities Of 9/11 Funders? and argued that no incumbent of either party deserves re-election if their primary loyalty is to the Saudis and not to the American people. In a similar stand-off, the FBI has refused to respond to Freedom of Information Act litigation seeking release of information about a separate inquiry an external oversight board for the FBI conducted in 2011 on the 9/11 attacks. 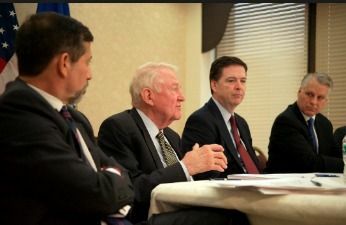 Members of the board, including FBI Director James Comey, second from the right, are shown in an FBI photo, with further description in an appendix below. Investigative reporter Dan Christensen of FloridaBulldog.org, working closely with Graham and noted author Anthony Summers, has taken the lead in seeking the FBI information and reported complete lack of progress this week in a column in FOIA lawsuit disputes 9-11 Review Commission effort to discredit sensational FBI report. The kingdom has threatened the United States with financial reprisal if Americans are able to pursue actions in court against the Saudis regarding 9/11 claims. The monarchy has voiced other complaints against the United States, including failure to overthrow the Syrian government of Bashar Al-Assad with more forceful actions. The royal visit coincided also with a narrow victory in the House for the Obama administration and mostly Republicans to support the Saudis in using cluster bombs in the war against Yemen begun in March of last year to reinstall a ruler that Yemen's Houthis had overthrown. As reported by The Intercept in Worried About “Stigmatizing” Cluster Bombs, House Approves More Sales to Saudi Arabia, the United States policy continues to be use cluster bomb technology opposed by 119 other nations as inhumane to civilians in support of what many human rights advocates describe as an illegal war of aggression by the Gulf monarchies that is inflicting vast civilian death and other suffering upon Yemen. 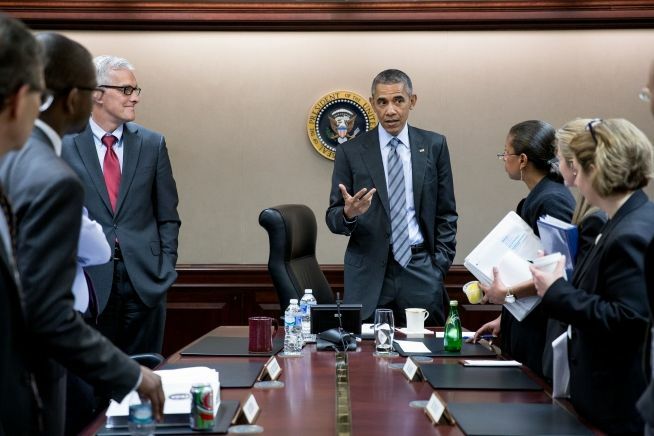 President Obama plans to bow to the pressure and support release of the materials this month. The CIA's Brennan originally opposed release and now says the findings were premature and thus not important. However, strong opposition remains in intelligence, military, media, and Wall Street circles to that release and such related inquiries. Opponents of release extend beyond advocates of the Saudis and other Gulf monarchies. They include backers of other foreign governments in the region, including the Saudis' de facto allies Israel and Turkey, plus European powers whose interests align with the official 9/11 story that terror occurred only because of 19 hijackers who were affiliated with the rogue radical Islamist terror network of Osama bin Laden. If the Saudis are exposed as complicit in 9/11 the repercussions could extend to many others. The Saudis argue for their part that they are seeking to help the U.S. fight terror, diversify their economy and gradually increase civil liberties, including reduction of current harsh restrictions on women. The Saudis at times say they have nothing to hide regarding the 9/11 report. They recently disputed also the accuracy of reports that they had threatened to hurt the United States financially if courts fail to protect Saudi Arabia from potential legal liability to 9/11 families. The Saudis also are reported also to want the United States to step up military action to overthrow Syria's government, and to work harder to advance other regional goals of the kingdom. Defense Secretary Ash Carter meets with Deputy Crown Prince and Minister of Defense Mohammed bin Salman of Saudi Arabia at the Pentagon on June 16, 2016 (DoD photo). The Saudi leader came to the United States under what some have described as a "charm offensive." 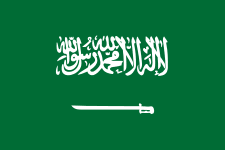 The kingdom's oil revenues provide the means to influence American decision-making, particularly in political, military, energy, legal and media circles influenced not simply by Saudi money but also by those businesses and non-government organizations catering to the kingdom's partners (such as major energy and arms companies) and their allies (including other governments). These facts are well-known, as indicated by a Washington Post article in April: Saudi government has vast network of PR, lobby firms in U.S. Regarding presidential politics, two prominent examples are the Bush and Clinton families. In 2004, Craig Unger published House of Bush, House of Saud: The Secret Relationship Between The World's Two Most Powerful Dynasties. It paved the way for his followup The Fall of the House of Bush (2007), and such other devastating examinations as Russ Baker's Family of Secrets (2009) that documented how the Bush family essentially used its political, banking and CIA influence to swap military security to the royal family guaranteed by American taxpayers in exchange for financial deals that benefited cronies of the Bush family and that family itself. One clear-cut illustration of the unaccountable consequences of such corruption involves the role of the Saudis' smaller Gulf ally Kuwait in hiring the CIA-connected public relations giant Hill & Knowlton to help stampede Congress and the U.S. media into support for the 1991 Gulf War against Iraq. 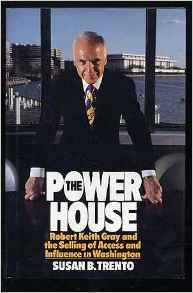 Hill & Knowlton, then led as chairman by the covert CIA asset and longtime dirty tricks artist Robert Keith Gray, led a PR campaign to concoct a story that Iraq's military was killed Kuwaiti babies by taking them out of hospital incubators. Harper's Magazine Publisher John MacArthur and CIA expert Susan Trento debunked that false flag propaganda trick on Congress in their books Second Front: Censorship and Propaganda in the 1991 Gulf War (1992 and 1994) and The Power House: Robert Keith Gray and the Selling of Access and Influence in Washington (1992), respectively. Separately, a series of books (most notably Peter Schweizer's Clinton Cash (2015) has alleged that the Clintons have used the same model to secure funds from foreign entities, particularly after Hillary Clinton became Secretary of State during President Obama's first term from 2009 to 2013 and then embarked on a presidential campaign under wide expectations that she stood a good chance to become president in 2017. Schweizer's book continues to receive high profile treatment, including a documentary to be released in July, because of Hillary Clinton's presidential candidacy and the array of conservative organizations allied with Schweizer and against her. These include the conservative group Judicial Watch, whose litigation provided significant amounts of his litigation, and Murdoch-owned media. His publisher Harper is one Murdoch-controlled affiliate, ans his book has received heavy coverage on others, including Fox News and the New York Post. The Murdoch-owned Post, for example, published a story May 22 headlined, How corporate America bought Hillary Clinton for $21M. The New York Times, however, is not Murdoch affiliated, and drew on Clinton Cash for an an investigative story congruent with book publication in May 2015. The book attacks what it calls Clinton practices that blur the lines between politics, philanthropy and business." Its main examples do not involve the Saudis but the themes are applicable to the types of controversies that have arisen post-publication. A claim for unwarranted Saudi influence over U.S. politicians, especially Clinton, surfaced briefly last week when Jordan's official news agency Petra quoted Salman saying Saudis were supplying 20 percent of the costs of her presidential election. But the claim was phony and the result of a hacker according to the Podesta Group, a DC-based PR agency used by the kingdom and headed by Anthony Podesta, the brother of her campaign manager John Podesta. Details are here: Jordan says hack led to posting of 'false news' that Saudi funds Clinton and Podesta Group Claims Story Of Saudis Funding Hillary's Campaign Was Due To A "Hack." Relatively little has been reported so far about Trump's financial relations with Saudis. He has not been a public official and he has kept his tax returns private, in contrast to the tradition of other recent U.S. presidential candidates. However, what has been reported about his business dealings, including use of the notorious power broker and mob lawyer Roy Cohn as an early mentor in the real estate and casino, provides scant basis aside from Trump's rhetoric for confidence he is immune from the financial incentives influencing others, particularly if he has far fewer assets than he claims. Near the end of the Saudi leader's trip to Washington, the Washington Post headlined a colleague's assessment as follows: Saudi foreign minister says bond with the U.S. will endure no matter who is in the White House. Diplomatic editor Karen DeYoung reported: Saudi Arabia, after its powerful deputy crown prince met with President Obama at the White House on Friday, publicly rebutted campaign allegations by both Hillary Clinton and Donald Trump that it supports Islamist extremism. Instead, he said at a news conference, they are “based on shared interests,” including Middle East security, counterterrorism, trade, investment and international finance. 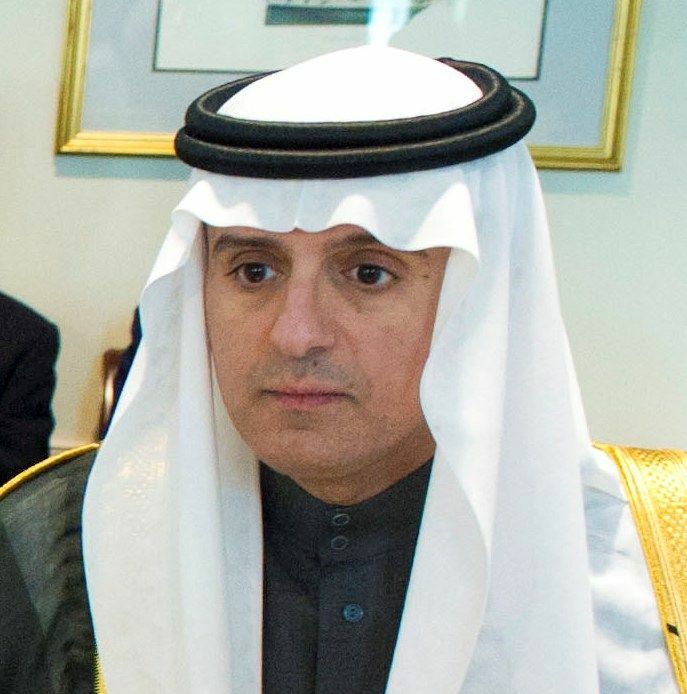 “This relationship is very solid,” said Jubeir (shown in a file photo). 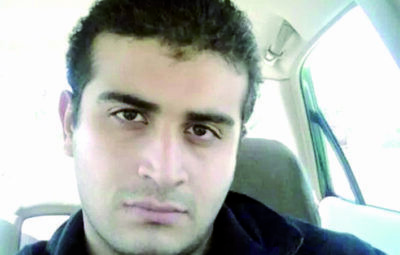 With this background, we move next in the third part of our series to suggest ways to understand puzzling and disturbing mysteries connected with the fatal shooting ascribed solely to Omar Mateen at the gay nightclub Pulse in Orlando on June 12. Amid the media's focus on such hot-button issues as terrorism, Islam, gay rights and gun rights, largely overlooked if not suppressed are such bizarre circumstances as his employment at major federal security contractor and his father's work as a propagandist for a show aired on the U.S.-taxpayer funded Voice of America. Also at issue are such puzzling reports as the one on CNN from a witness who said two shooters, not just a lone gunman, perpetrated the nation's largest death toll in history from a mass shooting. Curiously also, authorities decided June 20 to release full comments by Mateen, not simply the edited comments, as reported here: Feds reverse course, release full Orlando shooter transcript. Meanwhile, there is significant evidence that President Obama is backing away from the Middle Eastern fighting -- most notably in Syria -- that he enthusiastically undertook earlier in his presidency under pressure from regime-change advocates in his administration and their influencers in the private sector and foreign nations like Saudi Arabia. Such developments now underway in the Middle East have enormous importance for the last months of the Obama presidency and are a focus of our next segment. In it, we shall note Obama's rarely reported national security background before he become president and why it has equipped him for current terror-related issues more than most in the public could have a basis to realize. Washington Post, A 30-year-old Saudi prince could jump-start the kingdom — or drive it off a cliff, David Ignatius, June 28, 2016. Can this young prince save Saudi Arabia from itself? Saudi Arabia is at a historic tipping point; why that matters for America. 28pages.org, New House Resolution Directs Intel Committee to Release 28 Pages From 9/11 Report, Brian P. McGlinchey, June 15, 2016. Encouraged by rising, bipartisan support for a resolution urging President Obama to declassify 28 pages said to link Saudi Arabia to the 9/11 hijackers, the leaders of Capitol Hill’s declassification drive have now introduced a resolution directing the leaders of the House intelligence committee to take matters into their own hands. 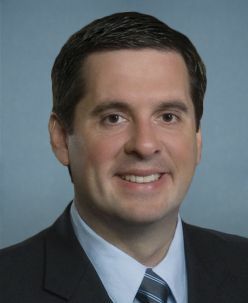 Introduced Monday, House Resolution 779 directs the chair and ranking member of the House intelligence committee — Devin Nunes (R-CA) and Adam Schiff (D-CA), respectively — to declassify the 28 pages by publishing them in the Congressional Record under the protection of the Constitution’s Speech or Debate Clause. 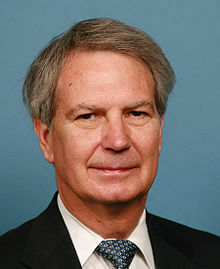 Congressman Walter Jones (R-NC, and shown at left) introduced the resolution along with original cosponsors Stephen Lynch (D-MA) and Thomas Massie (R-KY). The same trio is the driving force behind House Resolution 14, which urges the president to release the pages that comprise the final chapter in the report of a 2002 congressional intelligence inquiry. Introduced last year, H Res 14 has seen a surge in support following an April 60 Minutes report on the 28 pages, and now has 70 cosponsors. H. Res. 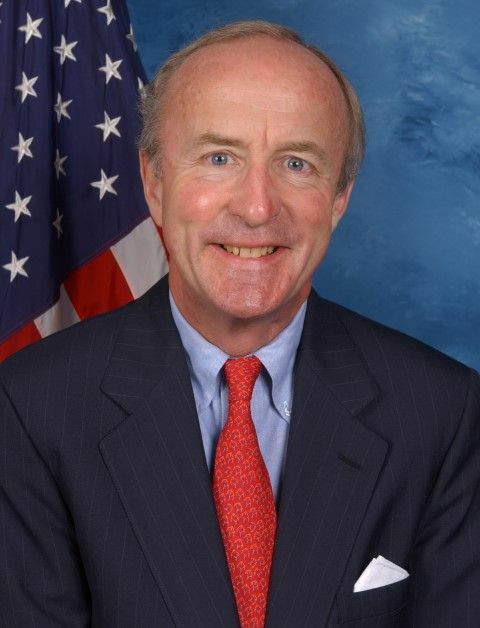 779 has been referred to the House rules committee. The committee’s ranking member, Louise Slaughter, is a cosponsor of the resolution urging the president to declassify the pages. The White House said it ordered the review in the summer of 2014. Skeptical that a review of just 28 pages could truly take two years and counting, many observers — including 9/11 family members and victims — point to the delay as signaling the Obama administration’s desire to put off a resolution of the issue as long as possible. FloridaBulldog.org, FOIA lawsuit disputes 9-11 Review Commission effort to discredit sensational FBI report, Dan Christensen, June 16, 2016. Two blue ribbon government panels on 9/11, two approaches to public accountability. 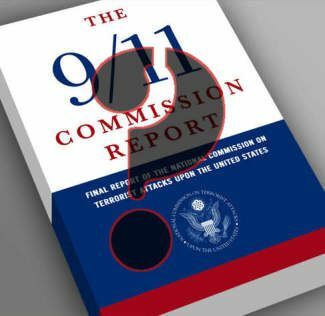 The 9/11 Commission [whose report is shown at right] held a dozen public hearings before issuing its 567-page report to the nation in 2004. While many of its records remain classified, the commission also made public additional staff studies with detailed information about terrorist financing, terrorist travel and immigration and border security. Broward Bulldog Inc. sued in 2012 for access to FBI records about its once- secret investigation of a Saudi family living in Sarasota with apparent ties to the 9/11 hijackers. Since *2014, a federal judge in Fort Lauderdale has been reviewing more than 80,000 pages of 9/11 documents produced by the FBI for possible public release. Justice Integrity Project, Do Your Senators Want To Keep Hiding Identities Of 9/11 Funders? Andrew Kreig, Sept. 22, 2015. The time is now to pressure Senate and House members who are suppressing the joint Senate-House government report that in 2002 identified funders of the 9/11 attacks. New momentum to dispel the secrecy stems from this month’s 9/11 memorials and research conferences. Congress has returned to work after summer recess amid alarming war-escalation rhetoric, especially from 2016 GOP presidential candidates. Justice Integrity Project, Rand Paul, 2 Other Senators: Expose Financiers Of 9/11 Hijackers, Andrew Kreig, June 9, 2015. The campaign to expose the financiers of the 9/11 attacks has heated up as GOP presidential candidate Rand Paul and two other senators co-sponsored legislation to require release of a 2002 joint House-Senate report that has remained secret. Paul spoke at a June 2 press conference on Capitol Hill with representatives of 9/11 families to urge his senate colleagues and President Obama to release the report, which reputedly states that Saudi Arabia funded several of the accused 9/11 hijackers in Florida and California. “Information revealed over the years does raise questions about [Saudi Arabia’s] support, or whether their support might have been supportive to these Al Qaeda terrorists,” said Paul, whose legislation co-sponsors are Senator Kirsten Gillibrand of New York and Sen. Ron Wyden of Oregon. Washington Post, Saudi foreign minister says bond with the U.S. will endure no matter who is in the White House, Karen DeYoung, June 17, 2016. Saudi Arabia, after its powerful deputy crown prince met with President Obama at the White House on Friday, publicly rebutted campaign allegations by both Hillary Clinton and Donald Trump that it supports Islamist extremism and said it expects strong U.S. relations to continue no matter who wins the election. “Irrespective of who is in the White House,” said Foreign Minister Adel al-Jubeir, close U.S.-Saudi ties “are not based on personal relationships.” Instead, he said at a news conference, they are “based on shared interests,” including Middle East security, counterterrorism, trade, investment and international finance. “This relationship is very solid,” said Jubeir (shown in a file photo). Trump, the expected Republican nominee, has suggested that the Saudis may have been complicit in the 9/11 attacks, threatened to end oil purchases from the kingdom if it does not send ground troops to Syria, and said that it should pay the United States for “protecting” it. Jubeir repeated Saudi insistence that the “28 pages,” as they are known, redacted from a 2002 Senate report on the al-Qaeda attacks be published in full. The pages, which the Obama administration has indicated it will release this month, are thought to contain FBI work plans for interviewing Saudi citizens and officials who might have had some involvement. 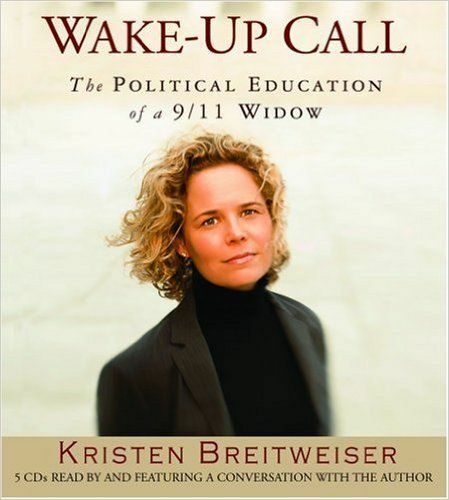 The subsequent 9/11 Commission report, published in 2004 after a lengthy investigation, indicated that all of those leads were followed and determined to lack substance. He also warned that passage of a proposed U.S. law to allow 9/11 victims to sue Saudi Arabia and other countries for compensation would set a dangerous precedent and harm the United States above all. The White House has agreed, threatening to veto a bill removing sovereign immunity in such cases that has passed the Senate and is awaiting House action. RealClearWorld with the Wilson Center, Saudi Arabia's Wonder Prince Comes to Washington, David Ottaway (Woodrow Wilson Center senior fellow), June 13, 2016. Mohammed bin Salman, Saudi Arabia’s iconoclast deputy crown prince, makes his Washington debut this week amid a new low point in U.S.-Saudi relations. At age 30, and after just 14 months on the job, the upstart prince is already the most influential policymaker in the ruling House of Saud, while remaining somewhat of an enigma in the American capital. He has been busy engineering a new Saudi economy no longer dependent on oil for its lifeblood, and now he has to deal with shaping a new foreign policy no longer dependent on the United States for its military muscle. ZeroHedge, Podesta Group Claims Story Of Saudis Funding Hillary's Campaign Was Due To A "Hack," Tyler Durden, June 14, 2016. In what may have been the most surprising news yesterday, we cited a report by Middle East Eye, which caught a release posted on the official Jordan News Agency (Petra), which was subsequently promptly taken down, according to which Saudi Deputy Crown Prince Mohammed bin Salman made various traditionally diplomatic statements about the US ahead of his visit to the US, which also included the stunning claim that Riyadh has provided 20% of the total funding to the prospective Democratic candidate's campaign, something which is considered illegal. This is what bin Salman was quoted as saying: "Saudi Arabia always has sponsored both Republican and Democratic Party of America and in America current election also provide with full enthusiasm 20 percent of the cost of Hillary Clinton’s election even though some events in the country don’t have a positive look to support the king of a woman (sic) for presidency." Many questions emerged: was this true; why did the Saudi prince say this; but most notably, why was it taken down so fast? In a bizarre explanation, MEE reports today that the official Jordan news agency said on Tuesday that it was hacked when, over the weekend, when the story briefly appeared on its website. Some history: the Podesta Group was founded in 1988 by brothers John and Tony Podesta. John Podesta is the chair of Hillary Clinton’s campaign to become the next US president. Saudi Arabia has donated millions to the Clinton family charity. In 2008, it was revealed that the Gulf kingdom had donated between $10m and $25m to the Clinton Foundation, a charity set up by Hillary’s husband and former US President Bill Clinton. Middle East Eye, Jordan says hack led to posting of 'false news' that Saudi funds Clinton, Rori Donaghy, June 13, 2016. Jordan's official news agency said on Tuesday that it was hacked when, over the weekend, a story briefly appeared on its website that said Saudi Arabia is a major funder of Hillary Clinton's campaign to become the next president of the United States. On Sunday a report appeared on the Petra News Agency website that included what were described as exclusive comments from Saudi Deputy Crown Prince Mohammed bin Salman. The comments included a claim that Riyadh has provided 20 percent of the total funding to the prospective Democratic candidate's campaign. The report did not remain on the website for long, although the Washington-based Institute for Gulf Affairs later re-published an Arabic version of it, which quoted Prince Mohammed as having said Saudi Arabia had provided with “full enthusiasm” an undisclosed amount of money to Clinton. 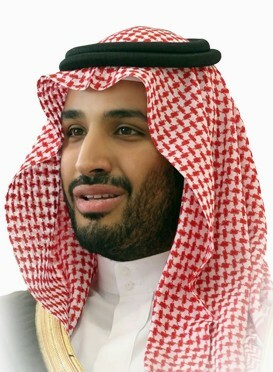 “Saudi Arabia always has sponsored both Republican and Democratic Party of America and in America current election also provide with full enthusiasm 20 percent of the cost of Hillary Clinton’s election even though some events in the country don’t have a positive look to support the king of a woman (sic) for presidency,” the report quoted Prince Mohammed as having said. Washington Post, Saudi government has vast network of PR, lobby firms in U.S., Catherine Ho, April 20, 2016. The Saudi government and its affiliates have spent millions of dollars on U.S. law, lobby and public relations firms to raise the country’s visibility in the United States and before the United Nations at a crucial time. And some of Washington’s premier law and lobby firms — including Podesta Group, BGR Government Affairs, DLA Piper and Pillsbury Winthrop — have been tasked with the job, according to a review of Justice Department filings. Five lobby and PR firms were hired in 2015 alone, signaling a stepped-up focus on ties with Washington. The firms have been coordinating meetings between Saudi officials and business leaders and U.S. media, and promoting foreign investment in the Saudi economy. Some have even been tasked with coming up with content for the embassy’s official Twitter and YouTube accounts. The Saudi government, embassy and government-owned entities have been contracting with U.S. consulting firms for more than 30 years. The work ranges from years-long agreements for legislative advice to one-time PR outreach efforts during “VIP visits” of Saudi leaders to Washington and New York. For 12 days last June, for example, consultants at the PR firm Edelman handled the visit of Abdulaziz Al-Harbi, CEO of International Trust Construction, during the executive’s trip to New York, setting up meetings with business, government and media leaders and earning $10,000 for their efforts. In 2014, consultants at the PR firm Qorvis developed content for the Saudi Arabia embassy’s YouTube and Twitter pages, and ran the Twitter account for the Syrian Opposition Coalition. The Intercept, Worried About “Stigmatizing” Cluster Bombs, House Approves More Sales to Saudi Arabia, Alex Emmons, June 16, 2016. The U.S. House narrowly defeated on Thursday a measure that would have banned the transfer of cluster bombs to Saudi Arabia, but the closeness of the vote was an indication of growing congressional opposition to the conduct of the U.S.-backed, Saudi-led bombing coalition in Yemen. The vote was mostly along party lines, with 200 Republicans – and only 16 Democrats – heeding the Obama administration’s urging to vote against the measure. The vote was 204-216. New York Post, How corporate America bought Hillary Clinton for $21M, Michael Walsh, May 22, 2016. “Follow the money.” That telling phrase, which has come to summarize the Watergate scandal, has been a part of the lexicon since 1976. It’s shorthand for political corruption: At what point do “contributions” become bribes, “constituent services” turn into quid pro quos and “charities” become slush funds? The Hill, Hillary capitalizing on 'Clinton Cash' book, Ben Kamisar, April 24, 2015. Hillary Clinton’s presidential campaign is fighting back against the allegations of impropriety in a new book with a plea to supporters. An email with the subject line, “There’s just no evidence,” takes aim at Clinton Cash by Peter Schweizer, a book that raises questions about whether donations to the Clinton Foundation may have influenced Hillary Clinton while she was secretary of State. “There's a new book out — written by a former Republican operative with ties to a Koch-funded organization — that uses allegations and conspiracy theories to stitch together a false narrative about Hillary without producing a single shred of evidence,” campaign chairman John Podesta wrote in the email. Podesta asks for supporters to sign a pledge to show “you’ve got Hillary’s back” by giving their email address to the campaign during this "important moment.” Once supporters sign up, they are sent directly to a donation page for the Clinton campaign. Judicial Watch, JW Lawsuit Exposes ‘Clinton Cash Machine,’ Staff report, April 24, 2015. Foreign Nationals Stealing Our Elections? Judicial Watch’s independent work resulted in exposé after exposé this week on how Hillary and Bill Clinton corrupted the State Department. How did this all begin? From one Judicial Watch lawsuit. Out of this hard-scrabble investigating, legal work, and journalism (our Micah Morrison in partnership with The Washington Examiner) emerged the key documents that led to much more investigating by others. Notably, our friend Peter Schweizer of the Government Accountability Institute used our documents to help with his headline-making book, Clinton Cash: The Untold Story of How and Why Foreign Governments and Businesses Helped Make Bill and Hillary Rich. This book helped feed major media interest in the story that Judicial Watch has been highlighting since 2008. RealClearPolitics, Hillary Clinton Campaign Chairman John Podesta: Claims in "Clinton Cash" Book Are "Conspiracy Theories," April 20, 2015. Charlie Rose Show: Al Hunt talks to John Podesta, chairman of Hillary Clinton's 2016 presidential campaign, about the new book "Clinton Cash," by Peter Schweizer. In the book, Schweizer alleges favors done to foreign governments in return for contributions to the Clinton Foundation; Podesta says the journalist "cherry picked" information and "wove a bunch of conspiracy theories about it." The Hill, Feds reverse course, release full Orlando shooter transcript, Julian Hattem, June 20, 2016. The Justice Department quickly reversed course on Monday after coming under intense criticism for redacting references to the Islamic State in Iraq and Syria (ISIS) from the transcript of a 911 call made by Orlando gunman Omar Mateen (shown in a My Space photo). Roughly four hours after releasing the redacted transcript, the administration caved to pressure, releasing the text of the call in full. “Unfortunately, the unreleased portions of the transcript that named the terrorist organizations and leaders have caused an unnecessary distraction from the hard work that the FBI and our law enforcement partners have been doing to investigate this heinous crime,” the Justice Department and FBI said in a joint statement. The Hill, Ryan rips 'preposterous' ISIS redaction from shooter transcript, Julian Hattem, June 20, 2016. 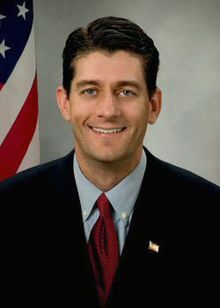 House Speaker Paul Ryan (R-Wis.) quickly criticized the Justice Department’s decision to redact references to the Islamic State in Iraq and Syria (ISIS) from a partial transcript of calls made by the Orlando nightclub shooter to negotiators, calling the move "preposterous." The FBI’s decision to withhold references to ISIS, even while saying Omar Mateen called himself and Islamic soldier, has swiftly become a new point of contention between the administration and congressional Republicans. 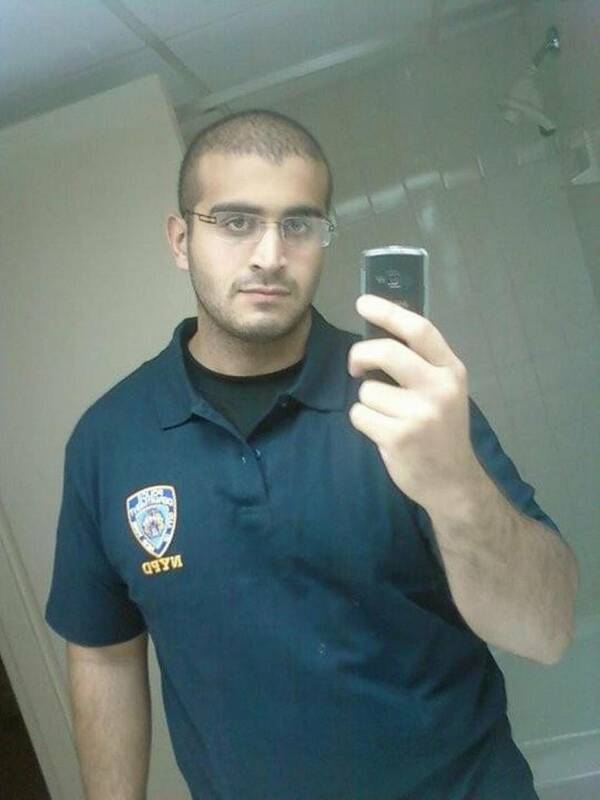 Law enforcement officials said on Monday that authorities made the decision to avoid spreading ISIS’s propaganda and to try to prevent copycats from being inspired by Mateen, who killed 49 people and wounded 53 others in the June 12 attack at a gay nightclub. Huffington Post, You Can’t Understand ISIS If You Don’t Know the History of Wahhabism in Saudi Arabia, Lamont Hill interviews Alastair Crooke, author and former MI-6 agent, Aug. 27, 2014, updated, June 3, 2016. Author, ‘Resistance: The Essence of Islamic Revolution.’ Saudi Arabia’s internal discord and tensions over ISIS can only be understood by grasping the inherent (and persisting) duality that lies at the core of the Kingdom’s doctrinal makeup and its historical origins.